The Bangladesh Navy originally under Bangladesh Forces was created during the Bangladesh War of Independence in 1971 against Pakistan. BN started its brave stride with only 02 gunboats named PADMA and PALASH and a small number of Naval Commandoes during the War of Liberation. Contribution of this small force is a milestone in the history of BN. They carried out as well as 45 gallant operations causing irreparable damages to the enemy. The undaunted bravery of the Naval Commandoes and sailors will always remain as a golden history of BN and will be a source of inspiration for BN personnel. Bangladesh Navy official creation was established in July 1971 during the historic Bangladesh Sector Commanders Conference 1971. In 1971, with West Pakistan imposing a military rule in East Pakistan, the Bangladesh War of Independence also known as Bangladesh Liberation War was truly underway. Many Bengali sailors and officers in the Pakistan Navy defected to form the Bangladesh Navy. On 9 November 1971, the first naval fleet consisting of six small ships was inaugurated. Initially, there were two ships and 45 navy personnel. These ships tried to carry out raids on the Pakistani fleet and later were mistakenly hit and sunk by Indian fighter planes on December 10, 1971. A major attack was launched on Mongla seaport. According to official figures from Bangladesh Navy, a total of 334 sailors were involved with the newly created navy with 22 being killed. These sailors were mostly Pakistan Navy trained divers who were absorbed into regular navy after the war ended. The Bangladesh Navy has strength of 40,000 (approx) personnel including about 10,000 (approx) officers. It is mostly limited to coastal patrolling, but it has a modern ULSAN class frigate built in South Korea along with another Guided Missile Frigate equipped with C802 anti-ship missiles. 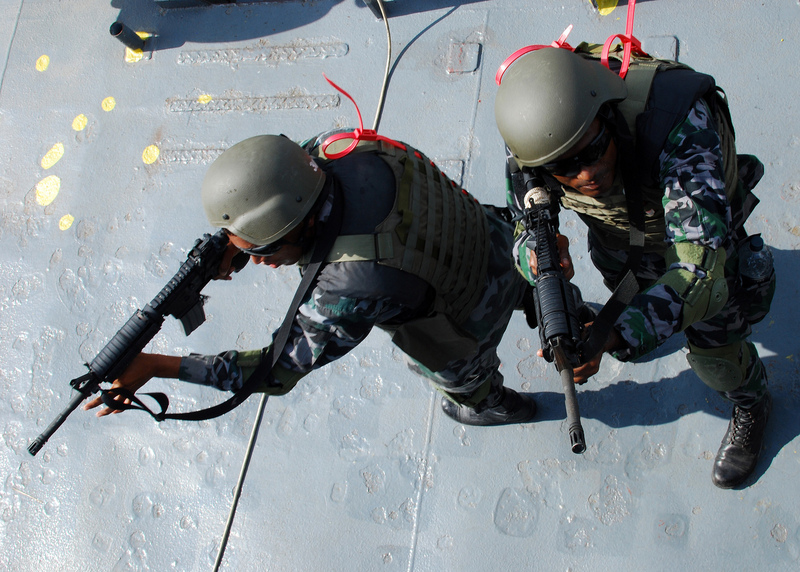 The navy has an ambitious procurement plan to ensure security of its maritime boundary. 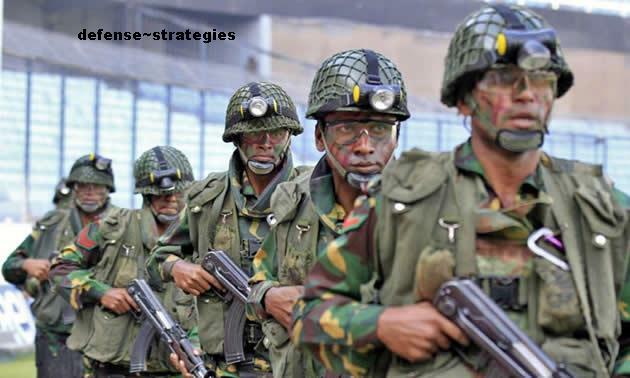 The newly elected government of Bangladesh announced an ambitious defense procurement plan in February 2009 for major purchase of weaponry, equipment and hardware for its armed forces, including anti-tank and anti-ship missile systems, aircraft for maritime patrol, frigates, tanks and helicopters. Following BNS Osman, BNS Khalid Bin Walid, the most modern ship of Bangladesh Navy, is going to be equipped with anti-aircraft and anti-ship missile from China. Bangladesh Navy is in the process of replacing it three age-old ex-Royal Navy frigates (BNS Abu Bakar, BNS Ali Haider and BNS Omar Faruk) with modern frigates within next couple of years. The likely candidates for these new frigates would be British Type 22 Frigate, Italian Lupo Class Frigate, South Korean ULSAN Class Frigates and Chinese Type 054A (Jiangkai-II Class) Frigates. The navy is also expecting Maritime Patrol Aircrafts (MPA) from Singapore-based King Air and Helicopters to become a three dimensional force. Bangladesh Navy has Five Frigate, 200 (approx) ships with Auxiliary, Offshore Patrol Vessel, Missile boat and about 10 (approx) Establishment. BNS Khalid Bin Walid is a frigate of the Bangladesh Navy, and is one of the most modern to serve with them. She is currently moored at Chittagong, serving with the Commodore Commanding BN Flotilla (COMBAN). About 200 personnel serve aboard her. Named for Khalid ibn al-Walid, she is capable of serving in a combat role, as well as performing peacetime policing duties. She was laid down on March 11, 1998 at Daewoo Shipbuilding & Marine Engineering, Republic of Korea, and commissioned on June 20, 2001 as BNS Bangabandhu. Later, the ship was decommissioned for various warranty repair works and placed in reserve class-III as DW 2000-H frigate on February 13, 2002. The primary role of this ship will be the surveillance of the country’s exclusive economic zone. She will also carry out various constabulary tasks in Bangladesh’s sea area against maritime terrorism, environmental pollution and smuggling, and can also be deployed for search and rescue operations. This frigate type is said to the most modern frigate of its class in the region according to the Bangladesh Navy. It is equipped with some of the most advanced systems available; the Otomat Mk.II Block.IV AShMs on board the vessel are an advanced and highly capable missile system with a range of 180+km; these AShMs change course mid destination and the warship does not need to be repositioned to fire at the target (unlike other anti-ship missiles). 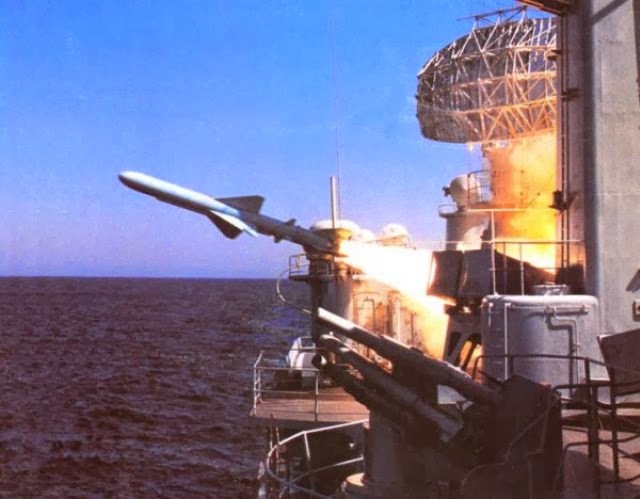 There are reports that the vessel will be upgraded with the addition of another quad Otomat AShM launcher. 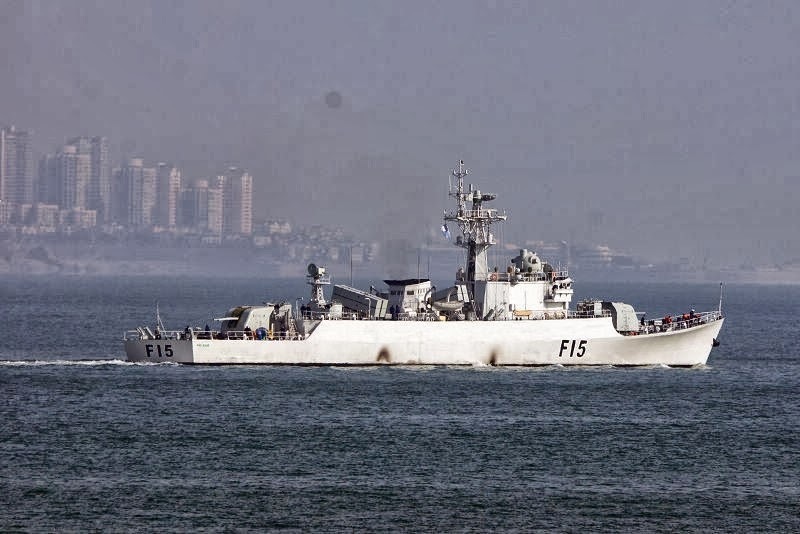 Additionally the vessel is armed with sophisticated air-defence systems in the form of 8 FM-90N SAMs and 4 x Otobreda 40 mm/70 (2 twins) compact CIWS. The vessel is also armed with 6 x 324 mm B-515 (2 triple) tubes which fire the EuroTorp Whirehead A244/S Mod.3 torpedoes (which is the latest version of that particular torpedo). All of these weapons systmes together with the 1 x Otobreda 76 mm/62 Super Rapid Gun give the vessel extensive combat capability. The Z-9C/D naval helicopter on board is compatible to fire the C-701 AShMs among other weapons including torpedoes. Bangladesh Navy plans to further upgrade the vessel’s combat capability with the installation of more AShM and SAM launchers on board. Class and type: Ulsan (Mod.) Class. Name: BNS Khalid Bin Walid. Builder: Daewoo Shipbuilding & Marine Engineering, Republic of Korea. Laid down: May 12, 1999. Renamed: First commissioned as BNS Bangabandhu. Reclassified: Reduced to the reserve on February 13, 2002. Propulsion: CODAD: 4 SEMT-Pielstick 12V PA6V280 STC diesels; 22,501 hp (16.78 MW) sustained; 2 x shafts. And decoys: ESM: Racal Cutlass 242; intercept, ECM:Racal Scorpion; jammer. Armament: 4 x Otomat Mk. II Block IV AShM; 8 x FM-90N SAM; 1 x Otobreda 76 mm/62 Super Rapid; 4 x Otobreda 40 mm/70 (2 twin) compact CIWS; 6 x 324 mm B-515 (2 triple) tubes-Whitehead A244S; 2 x Super Barricade launchers. Aircraft carried: 1 x Hanger, 1 x Z-9C/D ASW helicopter. BNS Osman is a modified Type 053H frigate of the Bangladeshi Navy, bought in 1989 from China. 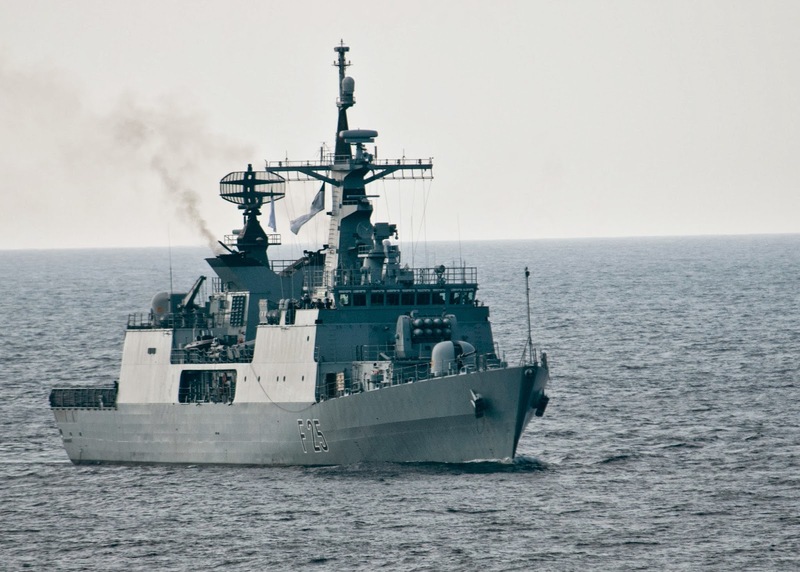 She is the first missile capable frigate of the Bangladesh Navy. The BNS Osman is currently moored at Chittagong, serving with the Commodore Commanding BN Flotilla (COMBAN). About 250 personnel serve aboard BNS Osman, with most living aboard her. She is one of five frigates in the navy, but is the only one with modern C-802A (range: 180km) anti-ship missiles and FM-90N surface-to-air missiles, which was installed with the help of the Chinese technicians. 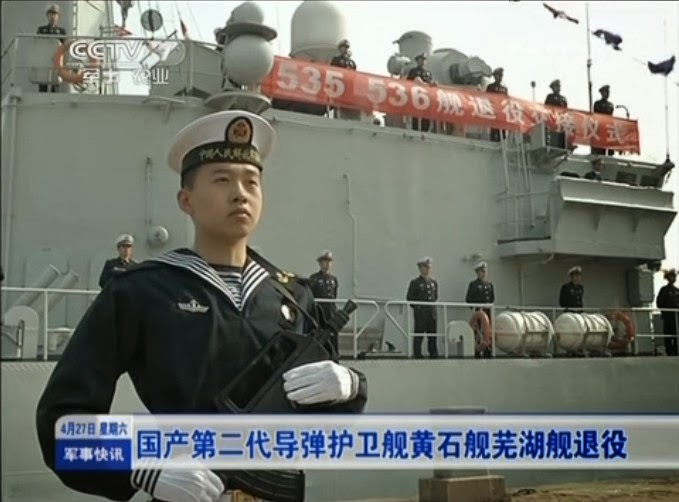 Class and type: Modified Type 053H Frigate. Displacement: 1,425 standards, 1,702 full load. Propulsion: Two type 12 E 390V diesels; 14,400 hp (m) (10.6MW) sustained 2 shafts. Range: 2,700 miles at 18 knots. * Echo Type 5 (Hull Mounted). And decoys: Watchdog; Radar warning. * 2 RBU 1200 5-tubed fixed launchers. * D/C: 2 BMB-2 projectors; 2 ranks. * Mines: Can carry up to 60. * Decoys: 2 loral Hycor SRBOC Mk 36. BNS Abu Bakar (HMS Lynx (F27)) is a frigate of the Bangladeshi Navy, bought in 1982 from the Royal Navy, where it served as HMS Lynx, a Leopard class anti-aircraft frigate. HMS Lynx (F27), was a Leopard-class Type 41 anti aircraft frigate of the British Royal Navy, named for the lynx. She was laid down by John Brown and Company, Clydebank, Scotland, on 13 August 1953, launched on 12 January 1955, and commissioned on 14 March 1957. She was transferred to the Bangladeshi Navy in March 1982 and renamed BNS Abu Bakar. The Abu Bakar is currently moored at Chittagong, serving with the Commodore Commanding BN Flotilla (COMBAN). About 200 personnel serve aboard Abu Bakar, with most living aboard her. She is one of five frigates in the Bangladesh Navy. Class and type: Leopard class Frigate, Type 41 anti aircraft frigate. Laid down: John Brown and Company, Clydebank, Scotland, on 13 August. 1953. Commissioned: 1st commissioned on 14 March 1957 by Raoyel navy named for the lynx. Decommissioned: March 1982 from Royel Navy. Renamed: BNS Abu Bakar March 1982 by Bangladeah Navy. Range: 2,700 miles at 21 knots. * Air & Surface: MX 902 Eye Shield. * Navigation: Don 2 or Fin Curve. * Fire Control: Square Tie Wok Won or Rice Lamp Sun Visor. o 2 or 4 China 3.9 in (100 mm). o 1 Creusot-Loire 3.9 in (100 mm). o China 36 mm 8 (4 twin). BNS Umar Farooq is a Salisbury class frigate, the former HMS Llandaff, currently in service with the Bangladesh Navy. She was built in Britain, and served with the Royal Navy for 18 years, before being sold to Bangladesh, arriving there on March 27, 1977. She is currently moored at Chittagong, serving with the Commodore Commanding BN Flotilla (COMBAN), where she is used to train midshipman. 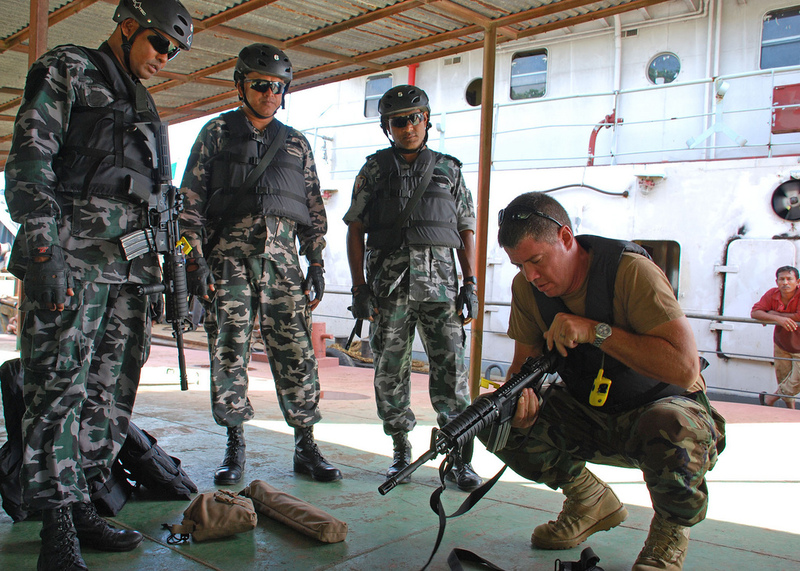 She is deployed to support operations off the Bangladeshi coast, such as anti-piracy and anti-smuggling operations, as well as search and rescue deployments. About 200 personnel serve aboard Umar Farooq, with most living aboard her. Class and type: Salisbury class frigate. Builder: Hawthorn Leslie and Company. Laid down: August 27, 1953. Displacement: 2,170 tons (standard), 2,408 tons (loaded). Propulsion: 8 × ASR1 diesels, 12,400 shp (9.2MW) , 2 x shafts. Range: 2,300 at 24 kt; 7,500 at 16 knot. Processing systems: Radar System (Air/Surface Search): Marconi Type 965 with double AKE 2 array. Control System: Plessey Type 993. Navigation: Kelvin Hughes Type 1007. Sonar Systems: Type 174 (Hull Mounted), Graseby Type 170B (Hull Mounted). Decoy: 1 x decoy launcher. Armament: Guns: 1 × twin 4.5 in gun Mark 6, 1 × twin 40 mm Bofors gun Mk.5, A/S Mortars: 1 x Squid launcher. 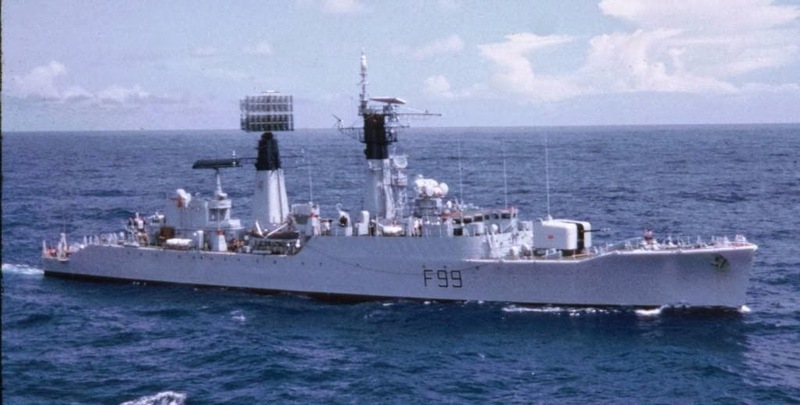 BNS Ali Haider is a frigate of the Bangladeshi Navy, bought in 1980 from the Royal Navy, where it served as HMS Jaguar, a Leopard class anti-aircraft frigate. The Ali Haider is currently moored at Chittagong, serving with the Commodore Commanding BN Flotilla (COMBAN). 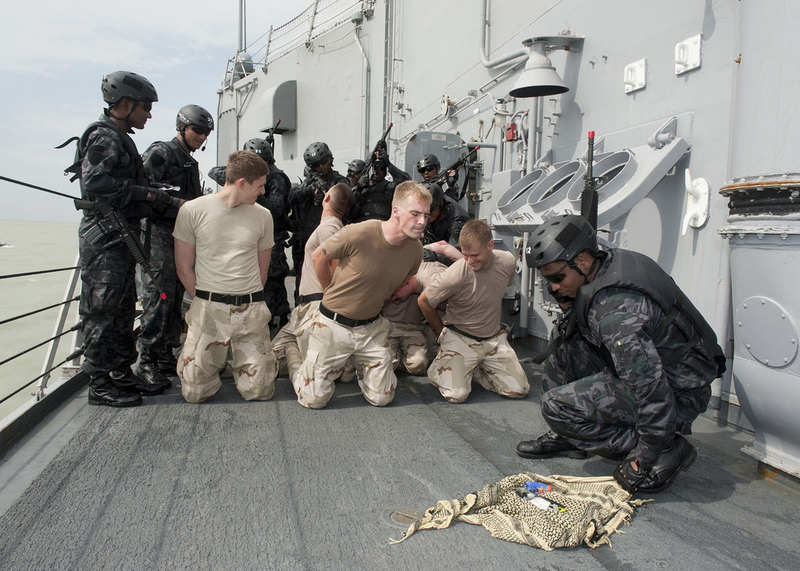 About 200 personnel serve aboard Ali Haider, with most living aboard her. She is one of five frigates in the Bangladesh Navy. Propulsion: Two type 12 E 390V diesels; 14,400 hp (m) (10.6MW), sustained 2 shafts. Range: 2200 miles at 18 knots. * Echo Type 3 (Hull Mounted). 1. BNS Shaheed Ruhul Amin. 1. BNS Sahayak Salvage, (Rescue & Repair Ship). 2. BNS Imam (Ghazzali Replenishment Ship). 3. BNS Khan Jahan (Ali Replenishment Ship). 4. BNS Khadem (Fleet Ocean Tug). 5. BNS Sebak (Fleet Ocean Tug). 6. BNS Rupsha (Fleet Ocean Tug). 7. BNS Shibsha (Fleet Ocean Tug). 8. BNS Agradoot (Survey Ship). 10. BNS Shanket (Harbour Tender). 11. BNS Shah Amanat (Landing Craft Logistic). Rear Admiral Zahir Uddin Ahmed, (ND), ndc, psc is current Chief of the Bangladesh Navy. He joined Bangladesh Navy in July 1976 as a Cadet Officer. He is a graduate of Defence Services Command and Staff College, Mirpur and US Naval War College, Newport. He received various training from USA, UK, China, Pakistan, Korea and Netherlands. He passed his successful officer’s livelihood during his Golden career. Chief of the Naval staff (CNS) at the passing out parade. The Bangladesh Navy currently operates eighty nine surface ships, including two guided missile frigates, two patrol frigates, one training frigate, six Corvettes, sixty minor surface combatants of various types (including patrol vessels, missile boats, and minehunters), and twenty four auxiliaries. In addition, six shore establishments are maintained. Note: Bangladesh finalised an ageement with Chinese govt. for transfer of two Type 035G (Romeo/Ming-class) submarines in Dec 2013. Note: Ex-BNS Khalid Bin Walid. Decommissioned in 2002 and reduced to the reserve until 2007. Recommissioned on 13 July 2007. Changed to current name in 2009. Heavily modified Ulsan class frigate with ASW helicopter on board. Note: Ex-PLAN Xiangtan, sold to Bangladesh in 1989. The ship has undergone heavy modification and has been armed with guided Anti-ship, Anti-air, Anti-Submarine systems and mine laying equipment. Note: Ex-USCGC Jarvis, transferred to Bangladesh Navy as a “gift” on 22 May 2013 by US Navy. The ship will be armed with modern C-802A anti-ship-missiles, FM-90N SAM and torpedoes with helicopter on board. Note: Ex-HMS Lynx and Ex-HMS Llandaff. To be replaced with two Type 053H2 Jianghu-III Class Guided Missile Frigates, Huangshi and Wuhu, after decommissioning. The two Ming-class submarines are expected to strengthen the navy’s ability to protect maritime resources and territorial waters, the New Age newspaper quoted unidentified officials as saying. Type 035 G Chinese Ming Class Submarines“The state-to-state deal would cost Bangladesh $203.3mn to procure the two Ming-class submarines,” the report said. Officials from the navy or military’s media arm were not immediately available for comment but the report came four months after Prime Minister Sheikh Hasina announced the government’s plans to procure submarines. In August, Hasina told a navy ceremony that, despite economic constraints, her government is committed to building a modern and balanced three-dimensional naval force for safeguarding interests in the high seas and littoral regions. 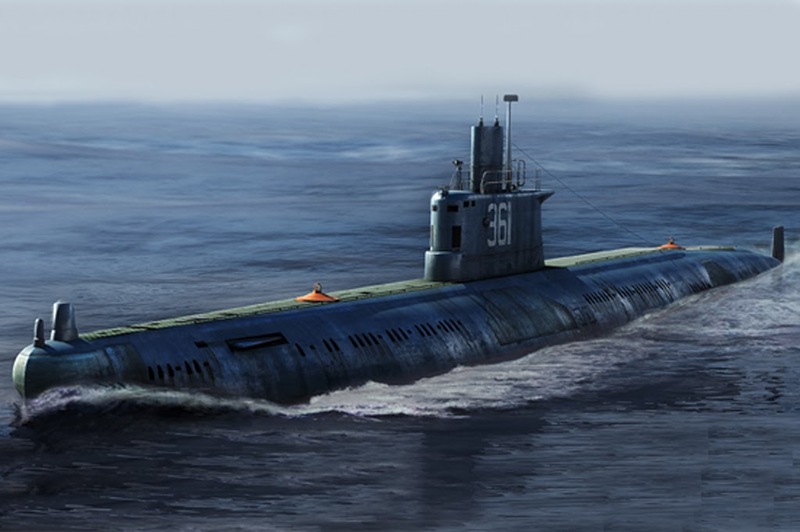 According to earlier reports, the Type 035G diesel-electric submarines were scheduled to be delivered in 2019. The navy decided to make payments to the Chinese state-owned firm that makes the submarines from the current fiscal to 2017-18. The navy said 17 officials had been trained to operate submarines and it had acquired land on Kutubdia Island in southwestern Cox’s Bazaar to set up a submarine base. “We need to have a robust maritime presence as a strategic nation,” Maj Gen (retired) A N M Muniruzzaman, a defence analyst, told a news agency. The Indian Ocean has become the “most strategic maritime theatre” with India, China and the US being the key actors, particularly after America’s maritime policy began focusing on the region, he said. The submarine deal will be the second major defence agreement this year. Bangladesh earlier finalised a $1bn deal with Russia to procure Mi-17 helicopters, combat trainer aircraft, armoured personnel carriers, anti-tank missiles and pontoon bridges. Analysts have said this deal appeared to be a diplomatic shift as Russia was not a traditional source of weapons. 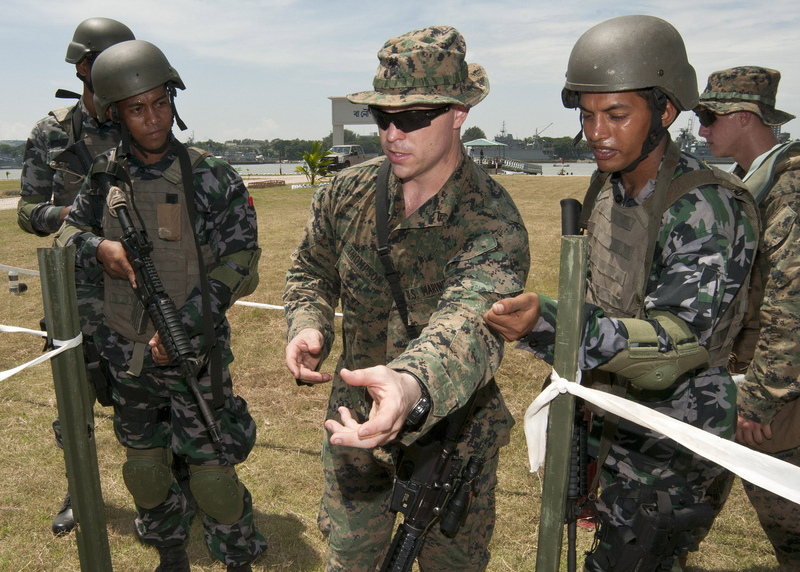 The Bangladeshi military is more familiar with weapons from China and the US, they said. 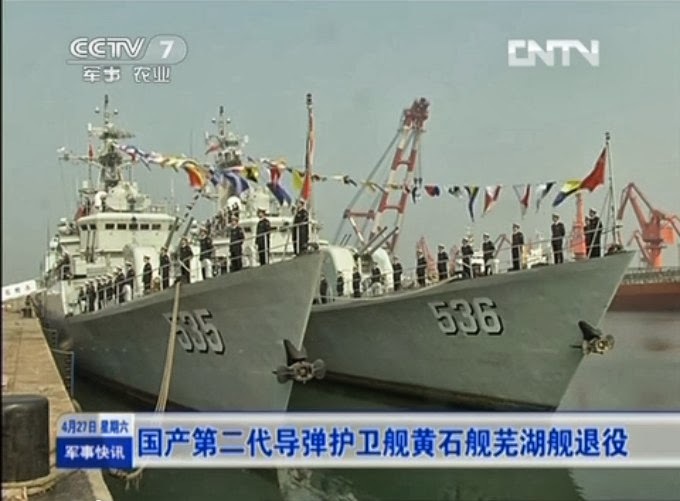 According to BMF, Bangladesh Navy has ordered 3 large missile crafts from China. Currently two are being built in China. New 3 large missile crafts of 600 ton displacement. 1 x Chinese AK-176M 76.2 mm, 4 x 2 C-802A anti-ship missiles, 2 x 6-cell RDC-32 ASW rocket launchers, 2 x CIWS. Separately 5 of 300 ton displacement are being built in Bangladesh Navy’s own dockyard. Bangladesh Navy has been acquiring new and second-hand frigates including the Hamilton-class frigates from U.S., building fast-attack-crafts locally, equipping all her frigates with attack helicopters including Italian-made AW-109 Power choppers, and purchasing two Romeo-class submarines from China. 10. 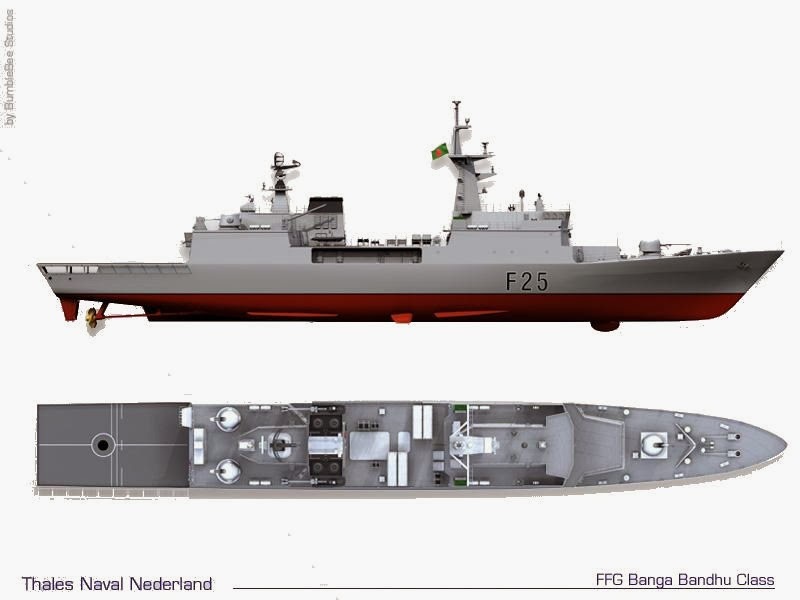 FM-90N SAM for 3 frigates (China) – already fitted on board BNS Bangabandhu. 14. 2x Submarine (Turkey / Germany / South Korea / China). That two submarines and possibly whole lot of submarines being presently acquired by the Bangladesh Navy is really worrying the Burmese political and military leaders. And it basically prompted the recent public visit of SG Min Aung Hlaing and his large military delegation to Russian military facilities including the St. Petersburg Naval Dockyards. Bangladesh received it first decommissioned Hamilton class cutter from the U.S. Coast Guard at a ceremony on Coast Guard Island in Alameda, Calif. The Coast Guard transferred the 3,300-ton cutter, formerly the USCGC Jarvis, to a 20-member team from the Bangladeshi navy. The Jarvis — decommissioned in October and renamed BNS Somudro Joy — was sold to Bangladesh as an excess defense article through a foreign military sales program, the Bangladeshi news website bdnews24.com reported. At the ceremony were U.S. Coast Guard Vice Adm. Paul F. Zukunft, Cmdr. Coast Guard Pacific Area and Chief of Naval Staff for the Bangladeshi navy Vice Adm. Muhammad Farid Habib, a report by the Bangladesh military website bdmilitary.com said. The ship’s commanding officer Capt. Mohammad Nazmul Karim arrived in Alameda in March to begin preparations to accept the Jarvis. Another 70 crew members arrived this month. Around 26 former Jarvis crew members will advise the Bangladeshi crew until Somudro Joy sails for Bangladesh this year. The 378-foot Somudro Joy, which has a helicopter landing deck and hangar, is powered by two Pratt and Whitney gas turbines and two Fairbanks-Morse diesel engines. 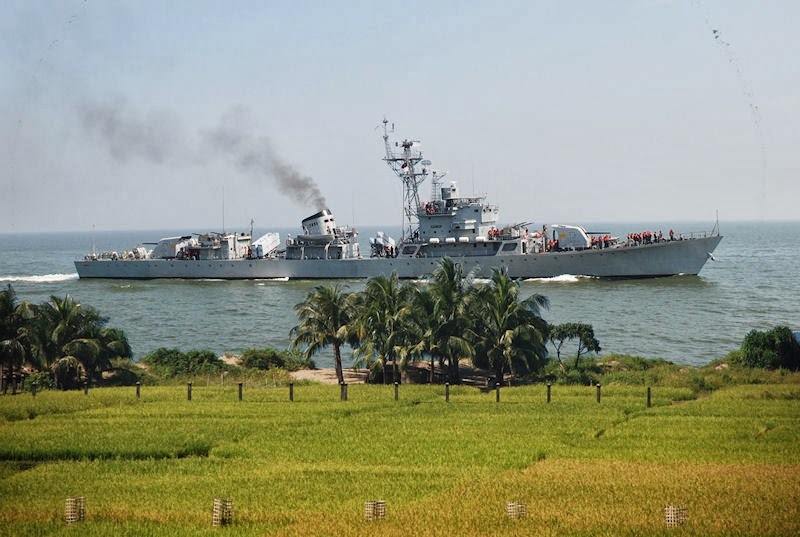 The Bangladeshi navy said the guided missile frigate, now the largest vessel in the fleet, will receive a further refit and upgrades after arriving in Bangladesh, bdmilitary.com reported. Planned upgrades include boosting the vessel’s combat capability with more AShM and SAM launchers. The Jarvis was built by Avondale Shipyards and commissioned in 1972 and will be replaced by Legend class National Security Cutters for the U.S. Coast Guard. The Somudro Joy joins the BNS Bangabandhu guided missile frigate built by Daewoo Shipbuilding & Marine Engineering in the South Korea and commissioned in 2001. In January, Prime Minister Sheikh Hasina commissioned the BNS Padma, the first Bangladeshi-built warship, at the Titumir Naval Base, near Khunla, around 90 miles south of Dhaka. 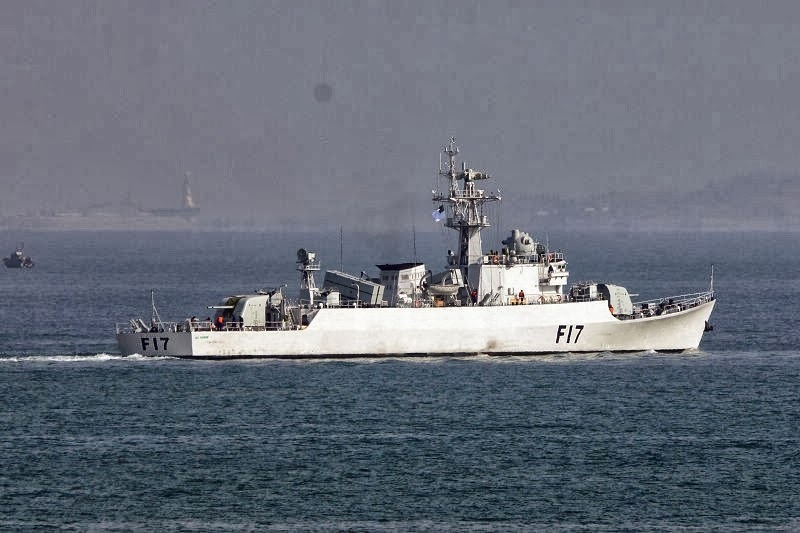 The 160-foot frigate cost around $7.4 million and has four 37mm and two 20mm cannons, the Bangladesh Sangbad Sangstha news agency reported. At the commissioning, Hasina said the navies of China, India and Myanmar are becoming more active in the Bay of Bengal and Bangladesh needs the Padma to protect its coastal waters. Hasina also said the country is on target to purchase two submarines but didn’t say where the vessels would come from. Activities are going on to purchase two submarines from a friendly country,” she told Parliament while replying to a written question on her government’s efforts to modernize the navy, army and air force. This entry was posted in CHALLENGES, CURRENT ISSUES, DEFENCE & SECURITY, FOREIGN RELATIONS & POLICY, Regional Policy, STRATEGY & POLICY. Bookmark the permalink. Go Ahead with the name of Allah, we are proud of you.